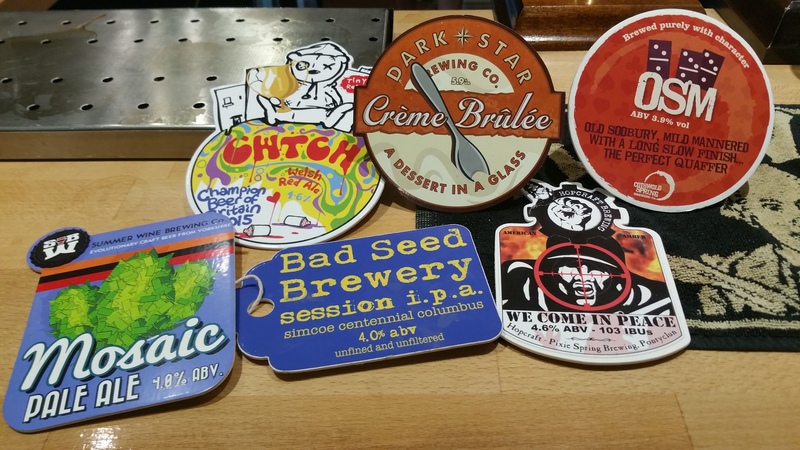 Welcome to Cheltenham CAMRA, the Campaign for Real Ale. We are a voluntary organisation campaigning for real ale, community pubs and consumer rights.The Cheltenham Branch has around 1,000 members in the GL50, GL51, GL52 and GL53 postcode areas. 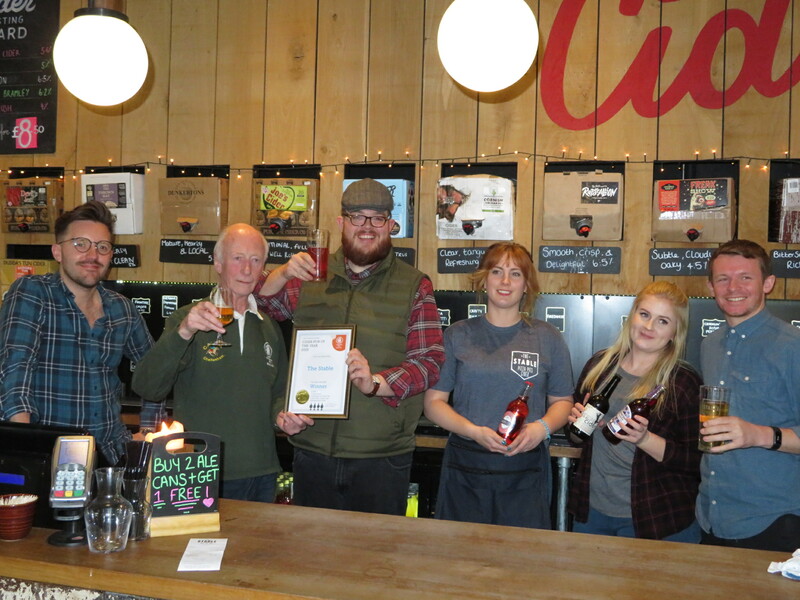 We are pleased to announce that The Stable has been selected as the Branch Cider Pub-of-the-Year for 2019. Part of a growing chain, based predominantly in the south and south-west. Set over two floors in one of the town’s listed buildings, and featuring many boxed ciders and perries, they also offer an introductory cider tasting experience, sampling 10 of their current range, led by their Cider Master. Congratulations to the team on winning the award. Branch chair, John Crossley, is shown making the presentation of the certificate to manager Ben Williams and the team. 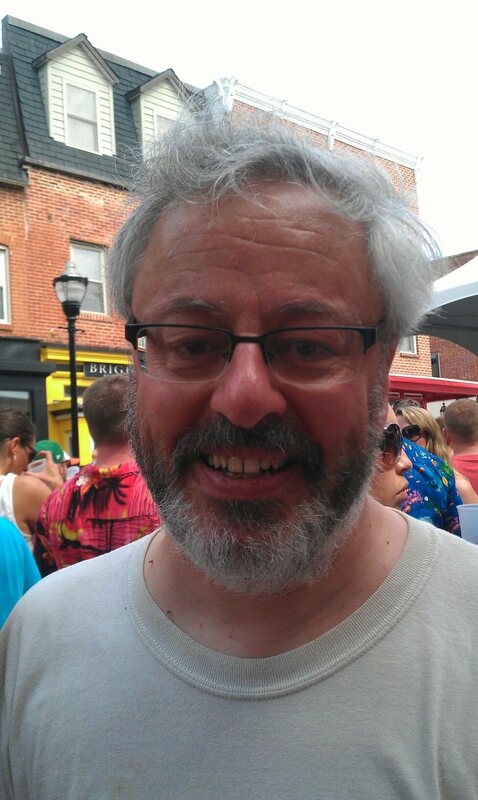 It is with deep sadness that we have to announce that Graham Green has passed away from cancer on 9 April 2019 in Baltimore, Maryland. 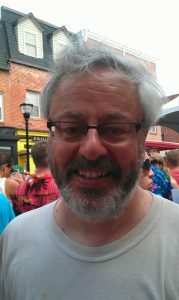 Graham, as many of you will know, was a long time member of the Cheltenham CAMRA branch and moved to Baltimore, Maryland (USA) to be with his wife Susan Garland nearly ten years ago. He will be greatly missed by family and friends and we ask that you raise a glass to him to celebrate his life and the fond memories you may have of him. If you wish to send condolences to Susan, please do so via her Facebook page message reference the bereavement and nowhere else, so that she gets some privacy at this difficult time. 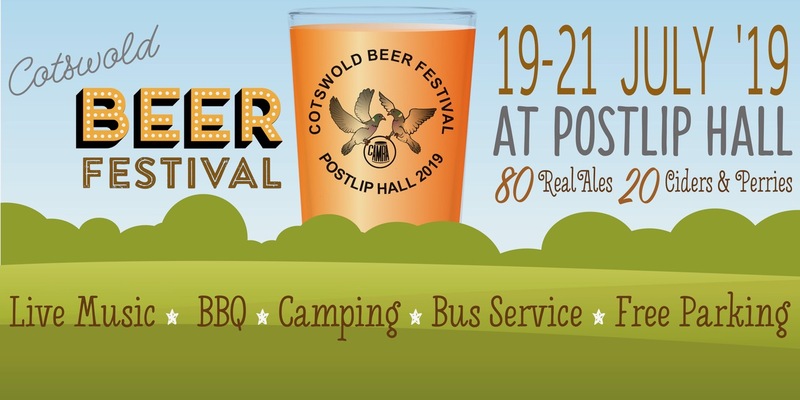 Tickets for the 2019 Cotswold (Postlip) Beer Festival are now on sale. Tickets are available to buy on-line or in person at the usual venues (Sandford Park Alehouse, Favourite Beers, The Plaisterers Arms in Winchcombe). We are pleased to announce that Cheltenham Motor Club (CMC), has been selected as the Branch Club-of-the-Year (COTY), for 2019. Congratulations, once again, to Neil and the team on winning the award. 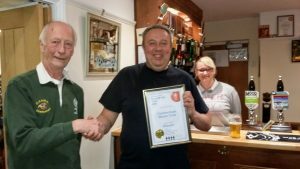 The presentation of the certificate by Branch Chair John Crossley, took place on Tuesday 9th April. 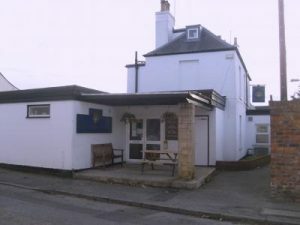 The course has been developed in conjunction with CAMRA and the course work features videos from alcohol producers just across the border in Oxfordshire. 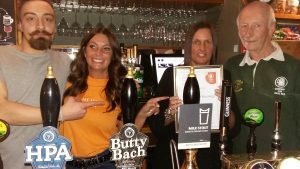 We are pleased to announce that The Kemble Brewery Inn has been selected as the Branch Pub-of-the-Year (POTY) for 2019. Congratulations to Caron (2nd right) and the team on winning the award. The presentation of the certificate by Branch Chair, John Crossley (right) was held on Thursday 4th April. Fancy joining us on a coach trip around seven of the top Black Country real ale pubs? 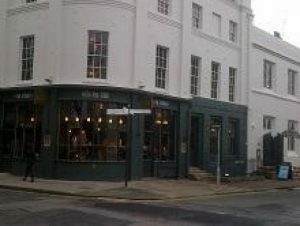 The trip will take place on Saturday 13th April and non-members are welcome. Full details are in the ‘Events’ section. 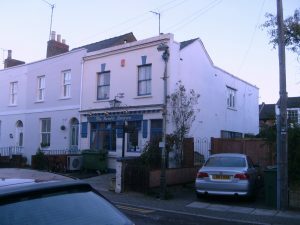 The Annual General Meeting of the Cheltenham Branch of CAMRA took place on 19th February. The current committee was re-elected unopposed. Chris Martin and Chris Trace stood down at this meeting. The remaining comittee would like to thank both for their contributions to the branch. The major announcement was the return of the Cheltenham Real Ale Festival (CRAF) for 2019. Once again it will be held in the magnificent surroundings of Cheltenham Ladies’ College on 1st-2nd November. Keep an eye on the CRAF 2019 tab above for further details. 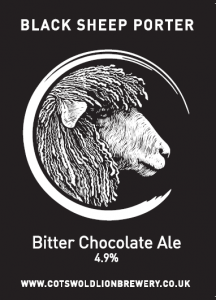 Congratulations to Cotswold Lion Brewery, whose Black Sheep Porter was judged beer of the festival at the prestigious Tewkesbury Winter Ale Festival (TWAF). 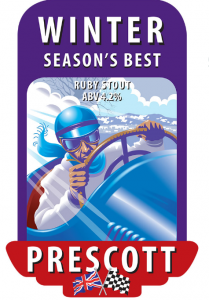 Well done also to Prescott Brewery, whose Winter Season Special was awarded third place.